Last year Mallory and I made this awesome candy cane wreath and I LOVE IT! I want one like this for every holiday. We are both crazy about feathers, glitter, bling and all things GLAM! 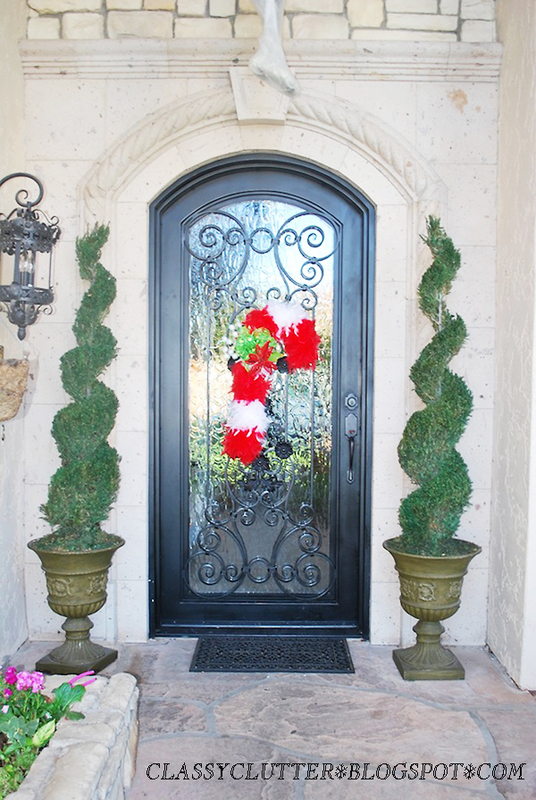 Since our favorite holiday is approaching, we’d better get started on the Christmas decor! Straighten out your wire (hanger) and feed it through the foam insulation. This will allow you to shape the foam into the cane shape. 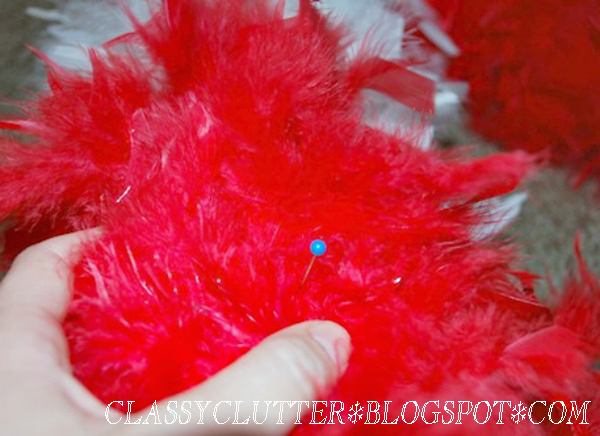 Feed one end of the feather boa into the foam and begin wrapping and pinning. Alternate red and white boas until you’ve got a candy cane look and your foam is completely covered. 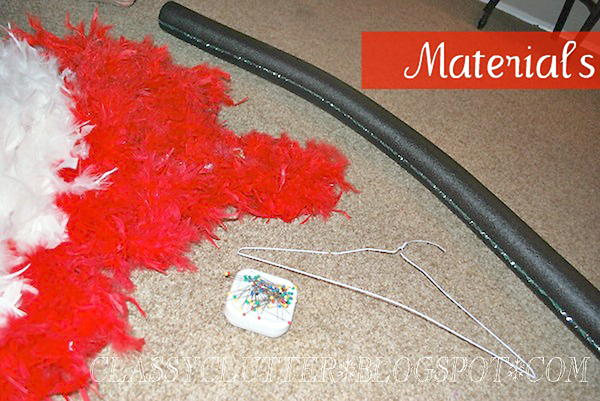 Use straight pins to secure feather boa to the foam candy cane form. Once you’ve got it all wrapped up and pinned in place, embellish however you want to jazz it up a bit! 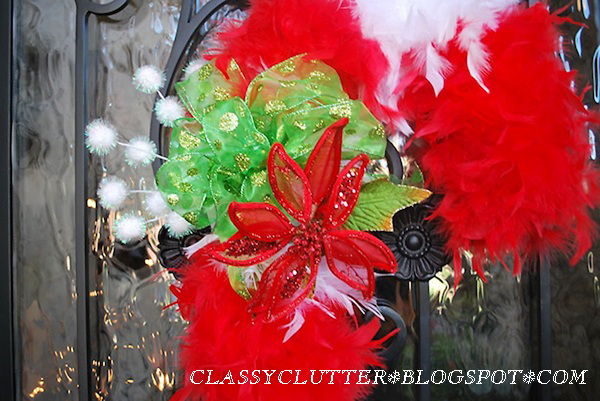 Use straight pins or hot glue to attach ribbon, ornaments, flowers or whatever you like! What do you think!? I am soooo ready for Christmas!!! What are you hanging on your front door? So pretty. What a cute and creative idea! 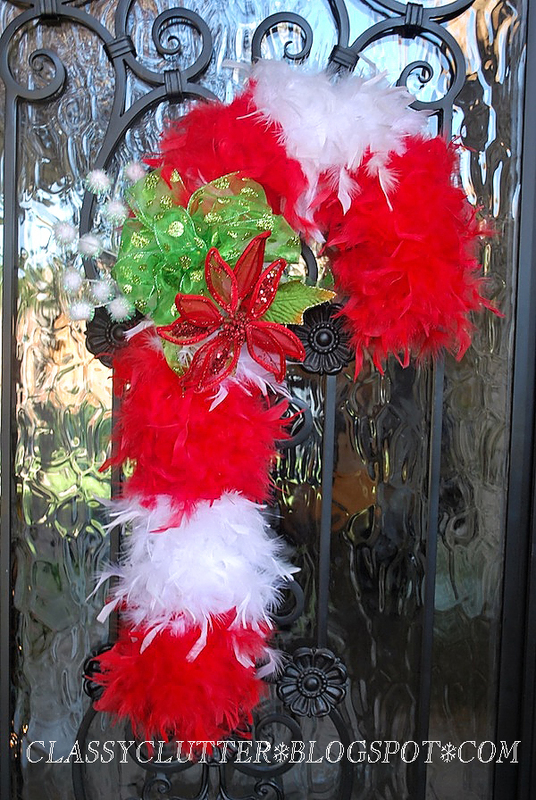 I made a ball wreath yesterday but it still needs something… a bow maybe. Have a great day! I love this!! I already have a plan for my Christmas/Winter wreath (that I’ve yet to make) but this is really cute! Love this cute wreath.. Pinning it! This is so much fun! I love feathers too. I am not a fan of feathers but this is the cutest thing ever. I Love it! I’m having a, FACEBOOK social hop. I’d love for you to hop on over, grab a button and link up your facebook page.